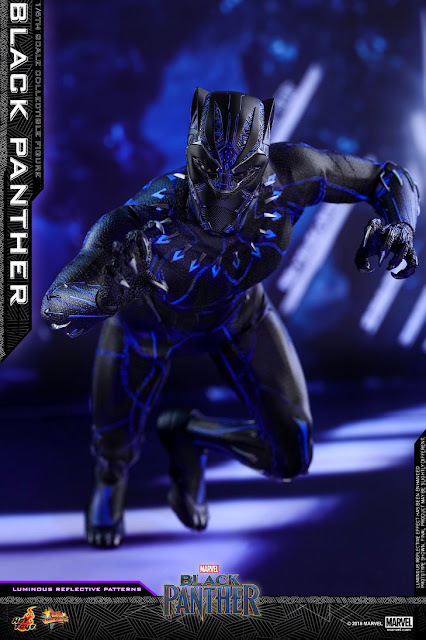 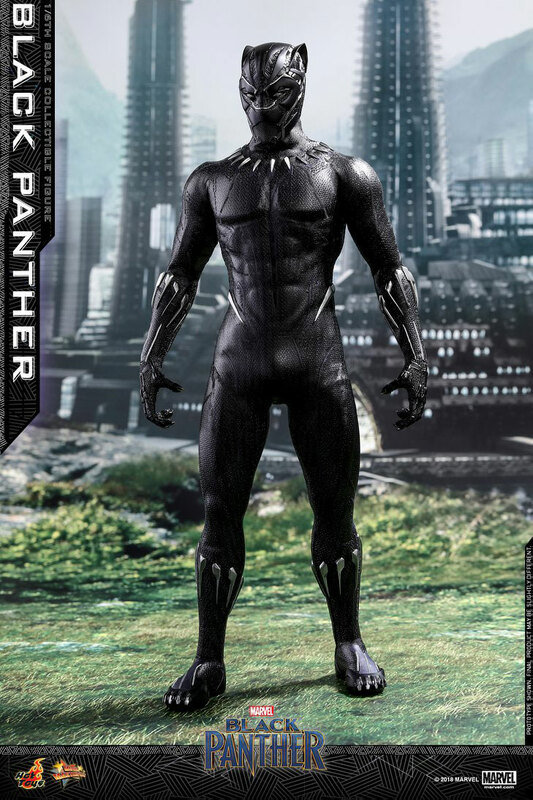 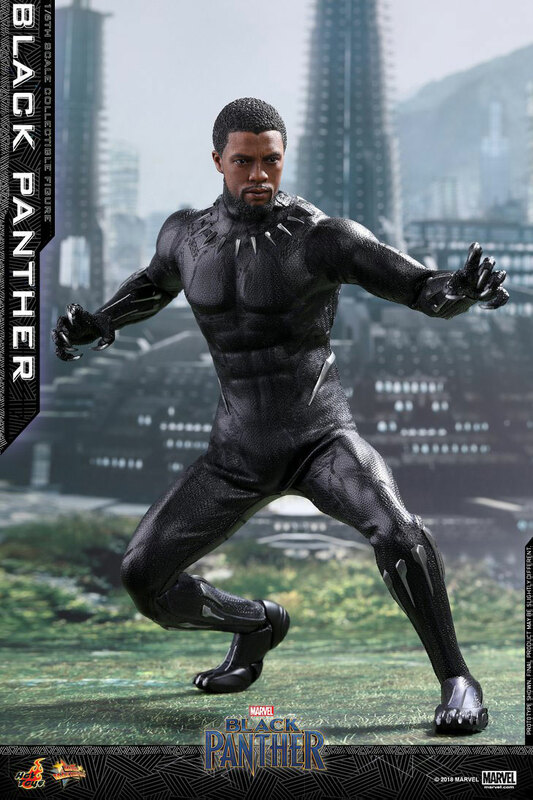 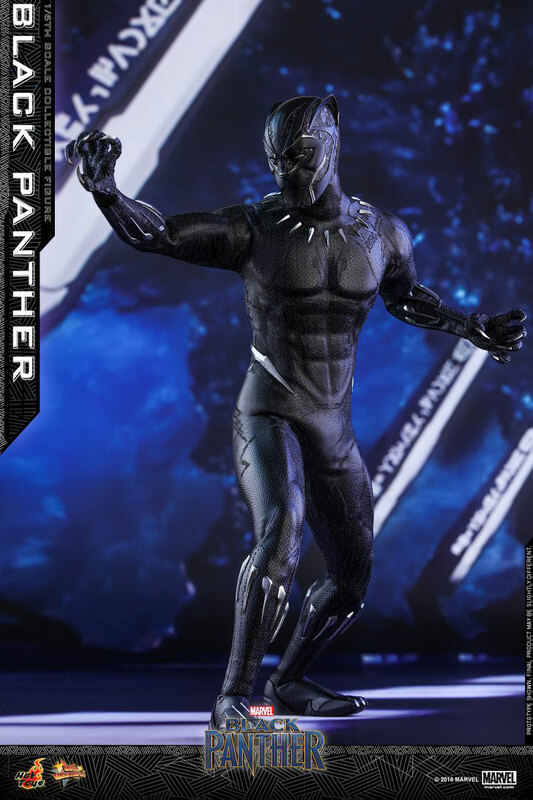 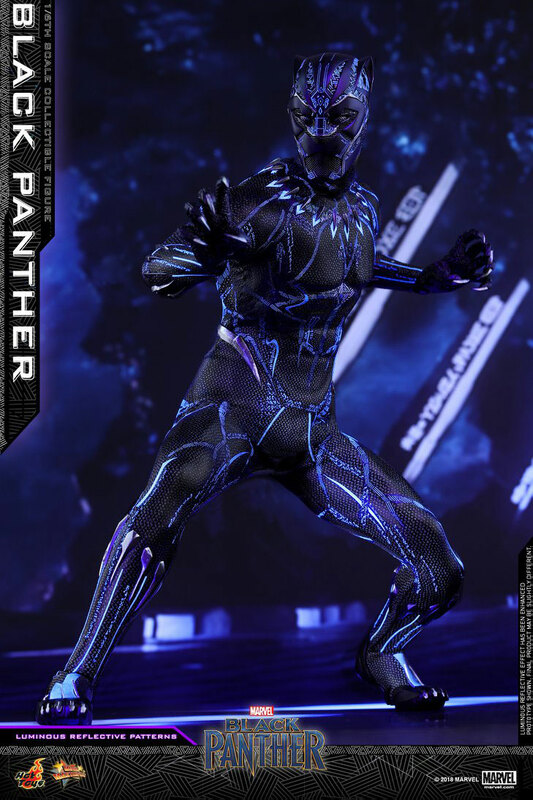 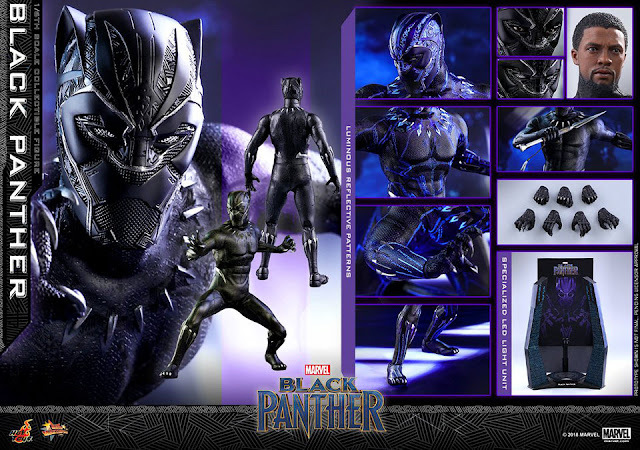 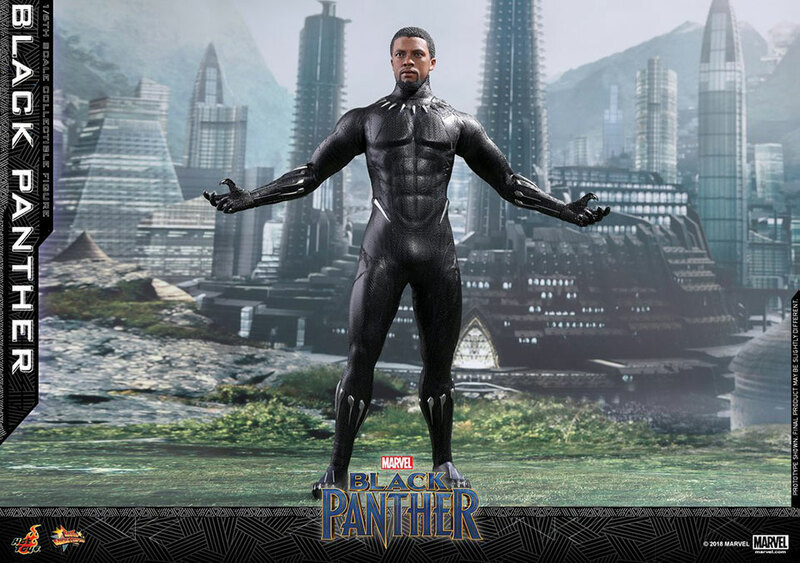 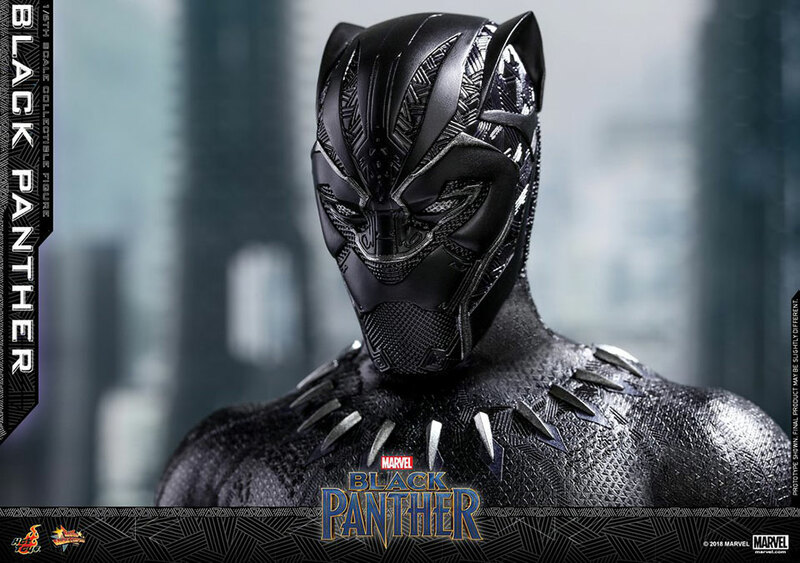 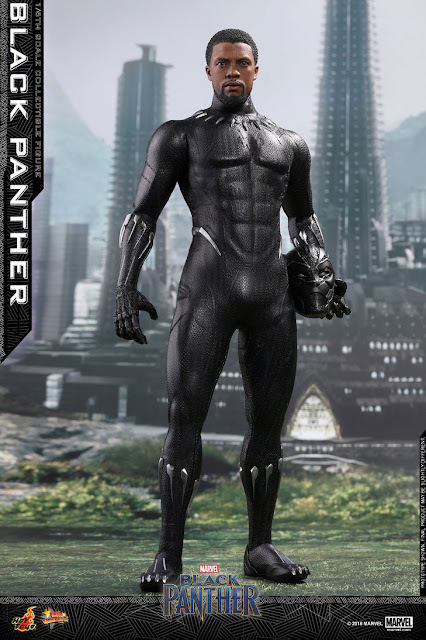 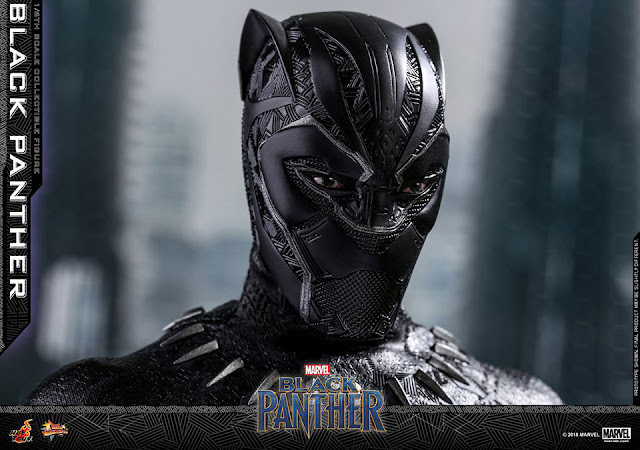 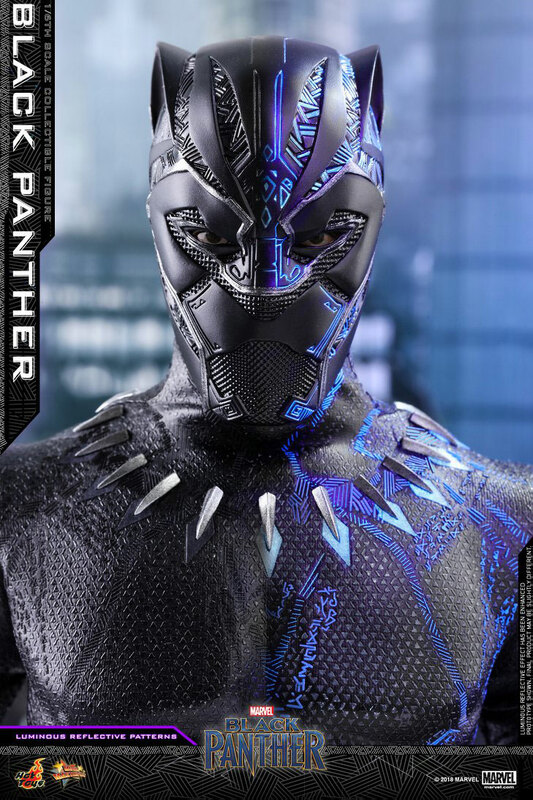 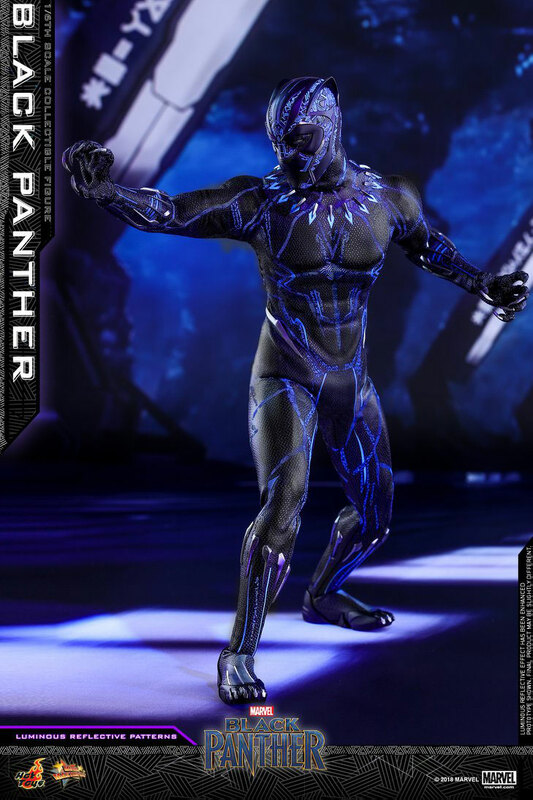 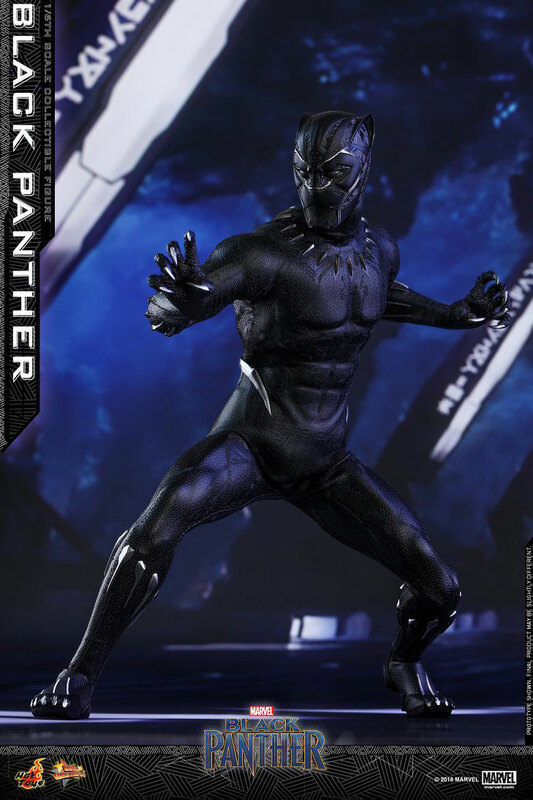 Hot Toys’ brand new sixth-scale Black Panther action figure features both a new body and likeness of actor Chadwick Boseman from the new 2018 Black Panther movie. 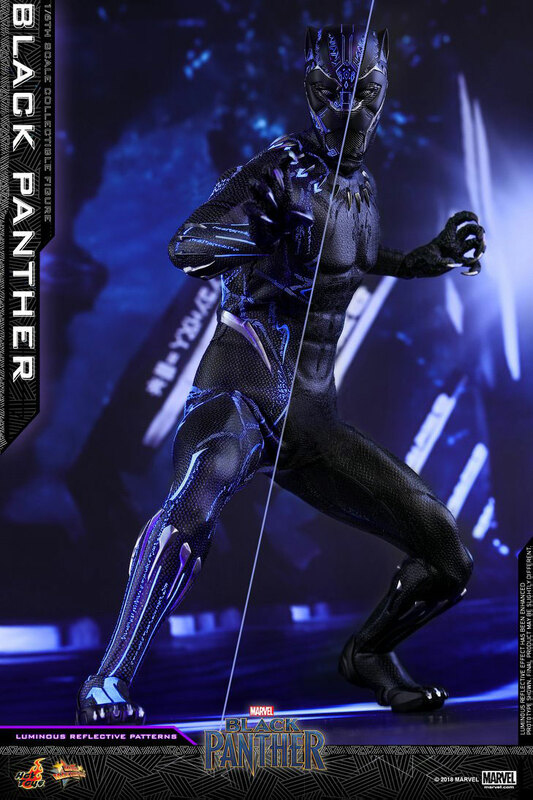 It’s also the first Hot Toys figure to have patterns that glow under “specialised” light, which is presumably UV light. An LED that emits said light is included.